Home » Latest News » Book Omid Djalili for wedding entertainment. Book Omid Djalili for wedding entertainment. You have to be a very lucky person to book Omid for event. Omid Djalili is one of Britain’s funniest stand up comedians an award-winning British-Iranian actor. After great success at the Edinburgh Festivals of 1993 and 1994, Omid became one of the most popular comedian in Britain, with a string of sell-out comedy shows. Now Omid is busy touring 105 days in a year. The comic has been the face of the company for 18 months, with a series of commercials playing on the British reluctance to haggle. John Prescott, Nigel Mansell, and Jedward have also featured in the campaign. 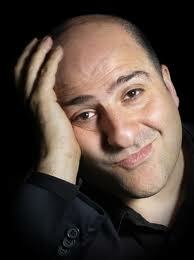 However, Djalili said he wouldn’t be appearing in the new series of adverts because he was too busy.